Need a fishing boat that can fit a few extra friends? Our range of Quintrex Territory Legends fit up to 6 or 7 people, meaning no one gets left behind for your next fishing trip! 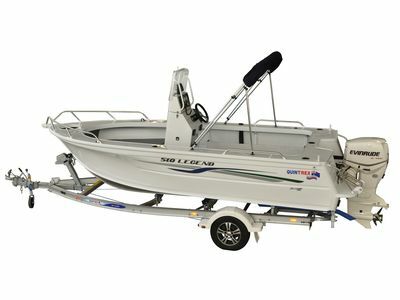 This aluminum boat range has a flared bow which deflects spray to keep all your friends and family dry and creates a smooth and stable ride. Live bait tank, anchor well and extruding side decks are just some of the features that make this range perfect for reeling in that perfect catch. If your enjoy that extra room or want to fit more friends on the water, Territory Legend range could be for you. This boat has fishing covered. With front and rear casting platforms, four rod holders and rear ladder you'll have everything you need for a day out fishing. You'll love fishing at the back of this beauty with a standard live bait tank to keep your bait always at reach. The extruded side decks also provide a sturdy seat or platform to lean against when reeling in a catch. Bring on your next adventure in the 610 Territory Legend. 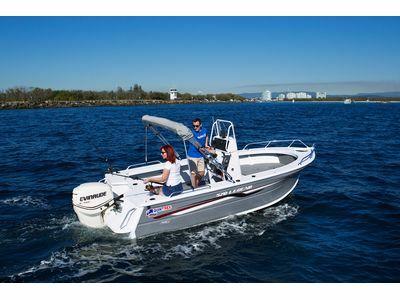 With a maximum 200hp rating and whopping 120lt fuel tank as standard, you can go faster and further to reach those awesome fishing spots. The Blade Hull and Flared Bow combination lead to a smooth and stable ride. 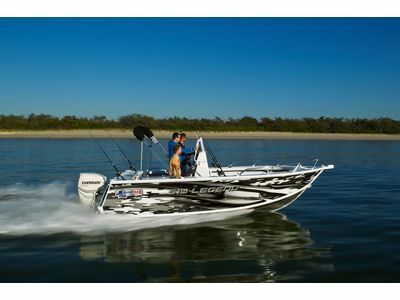 The 570 Territory Legend is versatile and suited to enclosed and open waters. 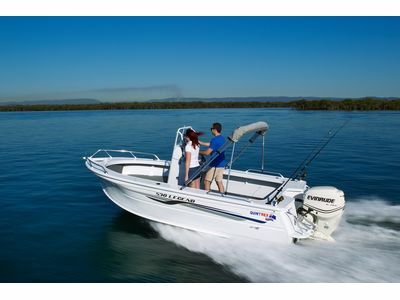 The centre console design allows for unobstructed 360 degree fishing.